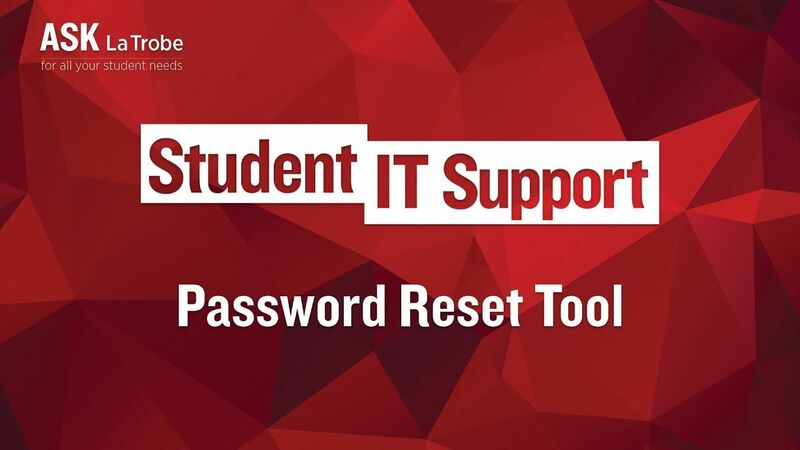 In this video, Jude from Student IT Support demonstrates registering and using the University Password Reset Tool. What is the Password Reset Tool? Once you have registered, the Self Service Password Reset tool, allows you to reset your La Trobe student password from a web browser. This can also be used if your password has expired by clicking on the Forgot My Password link. How else can I change my password? Available on any computer that has internet access. Available on any University owned computer that is with either a La Trobe staff or student account and the computer is connected to La Trobe University's network. Note: If you are using a personally owned computer you must use the Self Service Password Reset tool.